Each and every one of our reliable specialists obtains advanced certification in Brake Repair, Diesel Repair, Automotive repair, and Suspension Work. 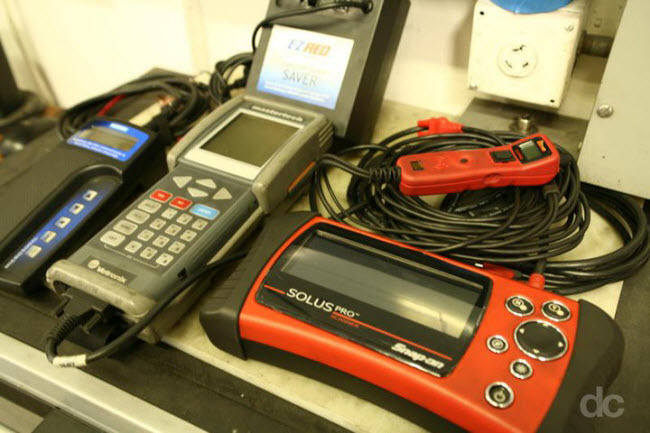 Equipped with the latest in diagnostic and repair technology, your vehicle will receive nothing less than first class care. Closed Sunday and Monday. We highly recommend an appointment for Saturday. "The quality of work here at Chino Hills Service Center is top notch. I've been coming here for the last 2 years. I wish I had known about this shop a lot sooner. The people here are the most honest, professional, and friendliest you'll ever meet. I highly recommend this place to anyone with car issues or for basic maintenance. You will not be disappointed." And never have to return because something was done wrong.Henry and his wife are the nicest peopleand honest"
"Always reliable, speedy, and honest service, the best in the business. Wonderful staff and family-like atmosphere. It's why we've been going to CHSC for years an no one else." 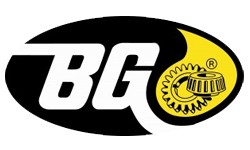 "I would recommend them to anyone needing a good mechanic. I feel very confident that I am being dealt with honestly and fairly." "Very thorough assessment of car's overall condition regardless of the reason it was brought in"
"Excellent work, excellent service, very reasonable costs." "I would definitely refer your service." "EXCEPTIONAL SERVICE AND ALWAYS WILLING TO GO OVER AND ABOVE." "Excellent tehnical and customer service, and very reasonably priced." "Excellent technical and customer service and very reasonably priced." "Great work, Great service and Great folks!" "The service is always top notch and the entertainment is beyond compare." "Great quality and service! You are wonderful :-)"
"Excellent quality of work! Very informative and reliable. Everyone has been friendly, courteous and trustworthy." "They are very good and trustworthy mechanics. I'll never go anywhere else." "Quality of work is excellent as is customer service but your estimating skills are somewhat lacking. I was told verbally that the work would not cost too much and would get an estimate via email. I never received the email and lo and behold it cost over $700 (not including the oil change). That was a real shocker." "Excellent work and wonderful customer service!" "Everyone should take their auto's to CHSC!" "Excellent customer and technical service." "...to come and visit Chino Hills Service Center they will be very pleased..."
"Excellent technical and customer service"
"I would say that Chino Hills Service Center is the best auto repair company i have ever done business with." "They are very honest and excellent people to do business with"
"The quality of work is excellent ... Henry takes good care of our cars." "Love every thing about the service, auto care, customer relations, skilled mechanics, and the entire atmosphere of Chino Hills Service Center! I finally found life long auto care...."
"Excellent technical service and excellent customer service, consistently for the 18 years I've used service." "I have been a customer for almost 20 years. They consistently provide excellent technical service and customer service." "The service was great and the staff was very helpful." "The quality of work is excellent. Henry & staff take very good care of you and your car." "I would highly recommend CHSC because of the value of their service. They provide strong customer service support as well as superb workmanship on the cars they service." "ok guys,this is helen you're talking to! of course i'm going to tell everyone how great you all are! and you do great work!" "Excellent customer service.........works hard to make sure all your needs are met." "Excellent and thorough care for our cars." 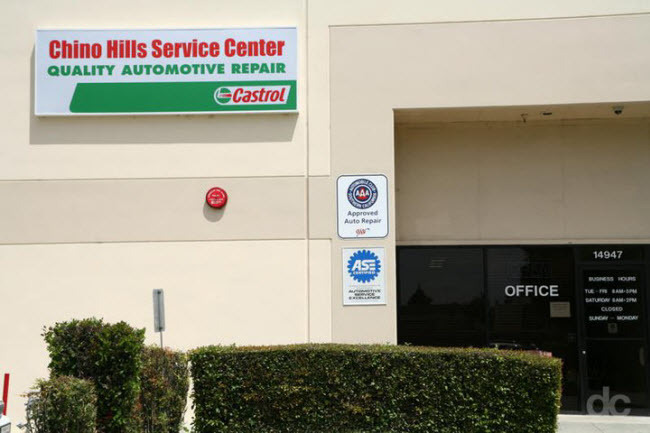 "Chino hills service center are straight shooters and tell you the truth without beating around the bush"
"this is the best auto service center i have ever found. i am very pleased with the work and the service." "They go above and beyond to ensure the safety of the vehicle." "Great service and worth paying for the best on m Euro car." "If you have a Mazda RX8, this is the best place to take your car. I have only had one visit and so far these guys are great both in service and in technical know-how." 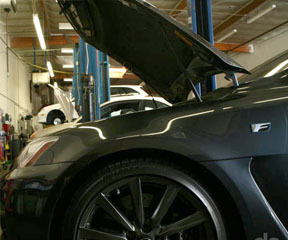 "I would highly recommend Chino Hills Service Center to anyone. A very happy customer for over 15 yrs. Henry and Sonja are more than just shop owners. Trusted from day one! The entire staff is super!" "Excellent customer service. Great turn around time on repairs and quality of work is excellent." "They are friendly and do a good job. I found them always available when I was in need of an unscheduled repair or a regular service." "Excellent, reliable, thorough work and customer service." "Honest, Friendly and close to home!" "I have recommended this shop to friends and neighbors, who have thanked me for the referral. I have been a customer for well over 20+ years." "Excellent technical and customer service." "I have been going there for several years and they always have been there when I needed them. They are friendly and I trust then for doing a good job. They probably are not the cheapest but I never had any problems with any of their services performed on my cars." "You offer great service at a fair price." "I highly recommend them. Been going to them for years and don't plan to stop now." "I recomend and refer people to your shop all the time"
"I like the fact that the shop always stands behind their work. I have been taking my vehicle to Henry's shop since 1997 and I have over 340 thousand plus miles on my vehicle." "I just told someone yesterday that you're great!" "The customer service and work is very honest, reliable, and reasonably priced." "Great work, I always know my car will be fixed the first time, no need to return for same problem. Sometimes things get fix or serviced at no charge with out me asking . Thanks"